Standing in the Country Music Hall of Fame last weekend, I thought about how important music has been in my life. It genuinely brings me joy and changes my attitude. It doesn’t matter what kind of music I listen to, it all works magic. I played the saxophone in high school and was pretty good by first chair standards, but Boots Randolph I was not. I once told my sister if I could have any skill/superpower, it would be to sing beautifully. Right now my enthusiasm makes up for my lack of ability. That seems to be the theme of my family. Let me take you through a magical journey of my family and music. 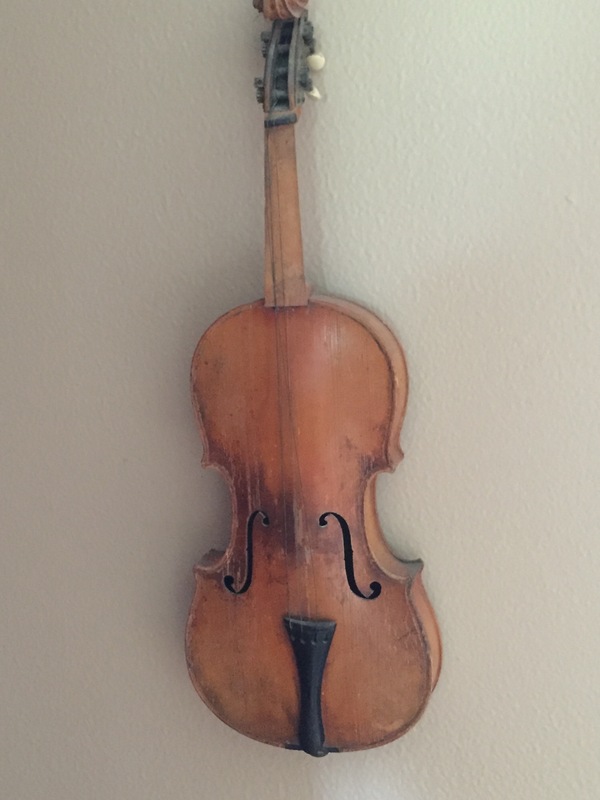 This fiddle belonged to my grandfather, Elzie Chenoweth (1897-1986). It has been hanging on the wall in my Dad and Mom’s house since 1970. It hasn’t been used at all. 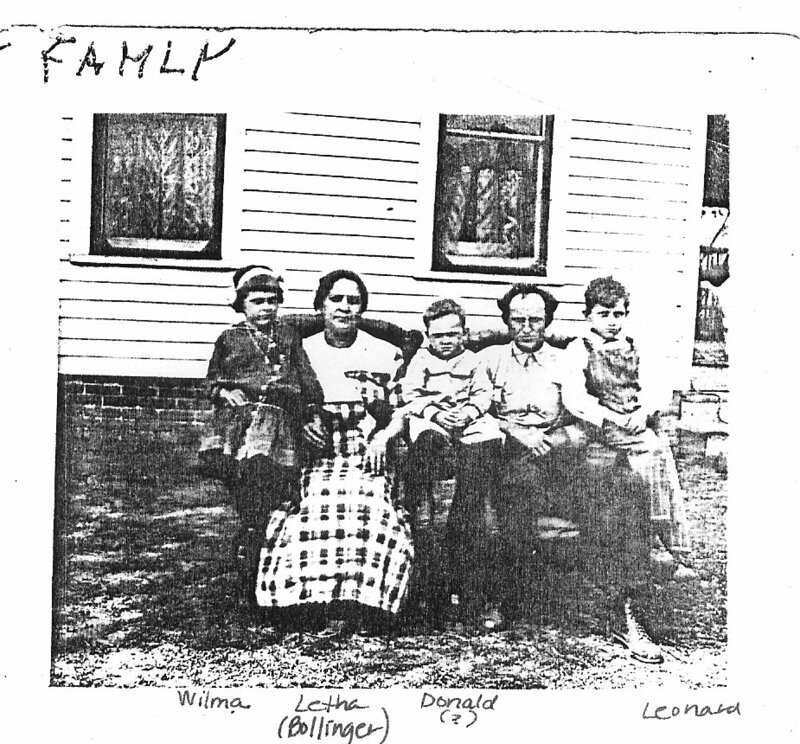 No one in the family knows how to play a fiddle, but I remember Grandma Vera saying the Swise family (Grandpa Elzie’s mother was Dollie Swise Chenoweth) was a very musically talented family. she said everyone in the Swise family could play an instrument. 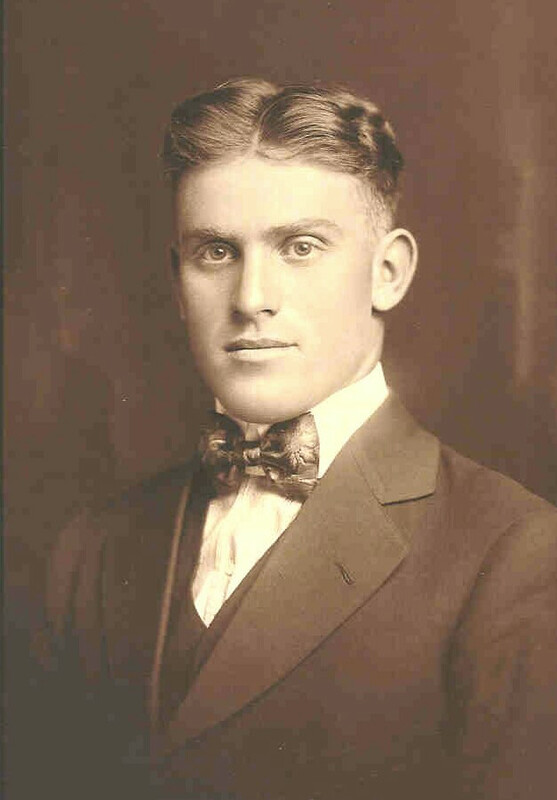 Charles Henry “Tuck/Tucker” Swise was very good on a fiddle and he often played for neighborhood dances. Grandpa Elzie had convinced himself he had inherited the genes for music talent also. Somehow he got this fiddle. I don’t know if he taught himself to play or if someone else helped him, but Dad says he remembers Grandpa “sawing” on the fiddle. He also remembers Grandpa Elzie wasn’t very good at it. Grandpa Elzie did have SOME musical talent! 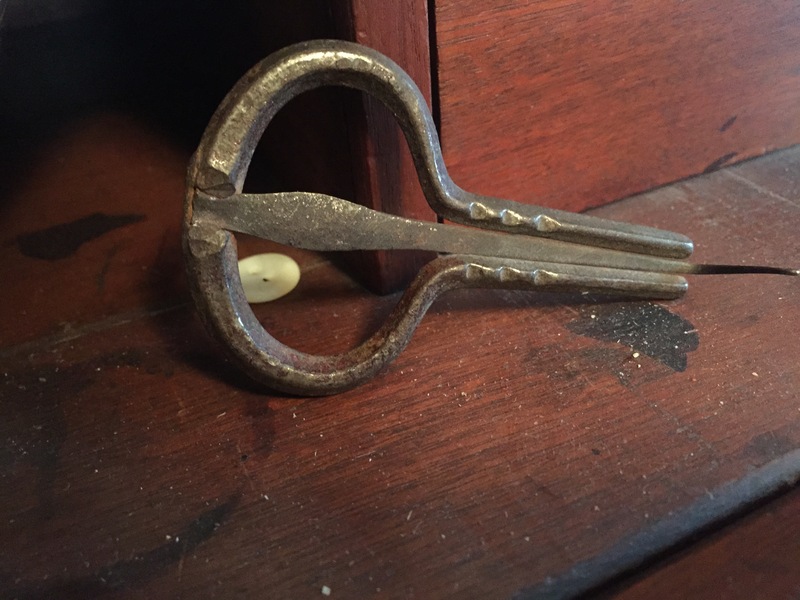 He often played this jew’s harp. This instrument is also known as a juice harp or mouth harp. I recall evenings staying at Grandpa and Grandma’s when he would pull it out to play. He tried to teach us, but we weren’t very good. Dad said he tried to play it when he was a youngster. Even though he had been warned, he got his tongue stuck in the harp and quickly decided it wasn’t for him. For a fascinating read on the history of this musical instrument, click here. My Dad never played an instrument. When we took band lessons he used to say, “I’m pretty good at playing the radio!”. His mother, my Grandma Vera Chenoweth, played the piano, but I don’t really remember hearing her play. My mother’s father – my Grandpa John Yess, (1896-1985) owned the violin on the right. Apparently playing fiddle or violin must have been the thing to do with young men in the late 1910’s and 1920’s since both my grandfathers owned one. You can see Grandpa John’s violin wasn’t very worn leaving me to believe he used it very sparingly or not at all. 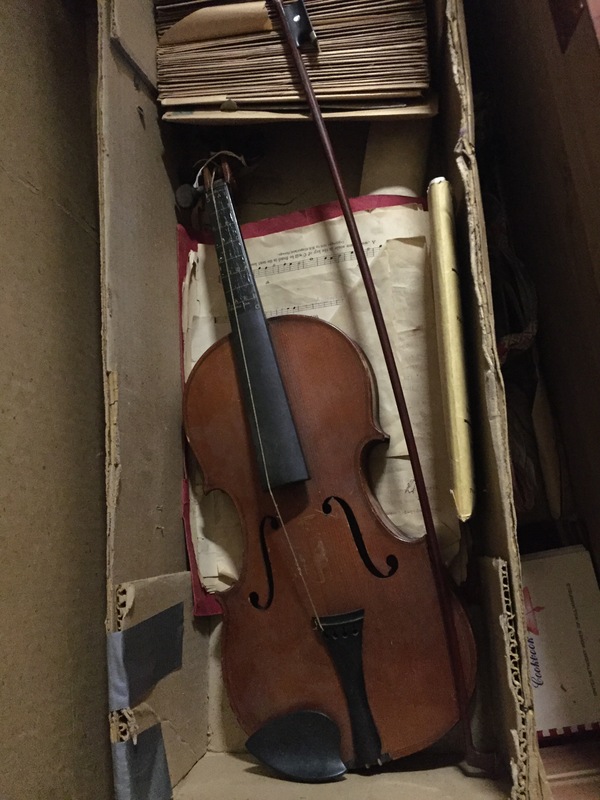 It had a set of lessons to go with the instrument and it’s in the original box from the company he ordered it from. The violin is marked “Stradivarius”. Unfortunately upon research we have learned this was a very inexpensive version sold through mail order! 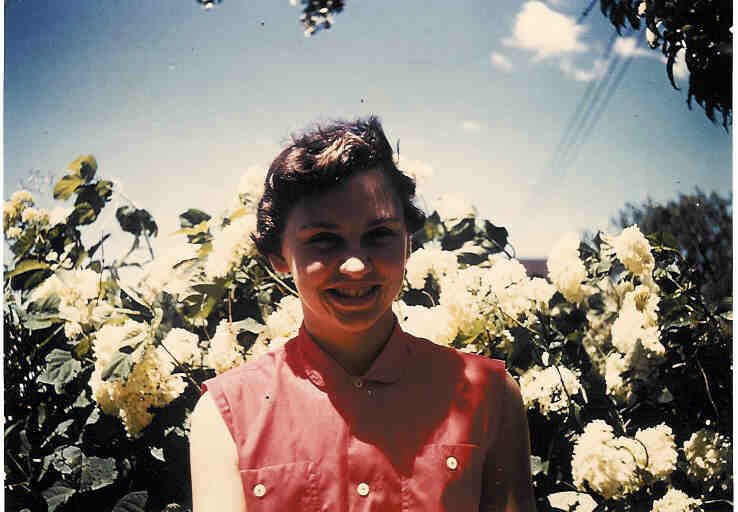 Mom was a clarinet player in the band at Princeville High School. She is an avid music lover and encouraged my sister and I to learn to play an instrument. We both chose saxophone – plus is saved on purchasing more than one instrument! Both Mom and Dad encouraged us to enjoy all kinds of music and entertainment. Every summer my parents bought season tickets to the local university’s summer music theatre. After each performance we’d discuss the characters, our favorite songs and try to recall the lyrics. To this day I can sing the lyrics to many, many Broadway showtunes! I admire those who can play an instrument. I admire even more those who have mastered an instrument(s) including their voice. I LOVE live music whether it be country, bluegrass, jazz, pop, blues, or just a good ole Sousa march! Both of our children played in the band for a short time in school as did my cousins children and niece and nephew. Today, we continue to have a great love for music, but the focus has changed more toward attending concerts. One of my nieces has created quite a list of entertainers she has already seen in concert. We may not be musically talented, but we still have a great appreciation for music.